Your smile offers a distinct identification of who you are, so it should be strong, healthy, and beautiful. Our team is dedicated to personalizing your smile and your entire dental experience, from the moment you call our office. Because we value your time, we never double-book appointments, and we will devote our full attention to your needs. You are the priority with Dr. Hong and Dr. Lam. Our dentists will work with you to develop a custom plan that meets your oral health goals. Patients can enhance their smiles with porcelain veneers, replace missing teeth with dental implants, or update old fillings with composite resins. 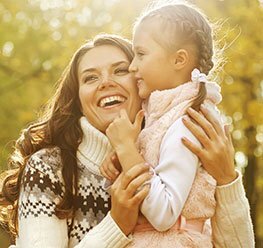 From young children making their first dental visit to senior adults who need to consider replacement teeth, our dentists provide the personalized dental treatment that you deserve. Do you need a crown placed, but can’t fit it into your busy schedule? With revolutionary CEREC technology, we can provide custom-designed crowns in a single visit. Durable, reliable, and convenient, CEREC crowns will give you something to smile about! Call today to schedule your CEREC crown appointment with Dr. Hong or Dr. Lam. We would love the opportunity to make you smile. Call to schedule an appointment with Dr. Hong or Dr. Lam. Our Westmont dental office serves patients from Downer's Grove, Hinsdale, Oak Brook, and the surrounding areas.